Why do you need your vendor's SOC audit report? Do you need their SOC 1, SOC 2 or both? Scope: Is your product/service covered in this report? What are the complementary user entity controls and the associated risk? As part of your vendor management program, you should be asking many of your vendors for a copy of their SOC audit report, especially your critical or high risk vendors. 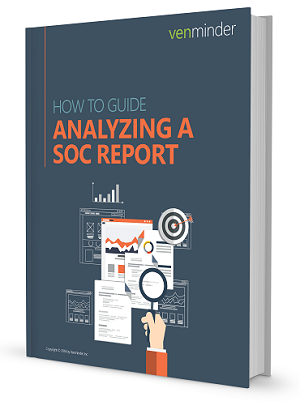 To help guide you and your team in reading and understanding these complex reports, we've put together a step by step guide that breaks down the SOC report into easy to comprehend elements.